Click on the foreground color block. 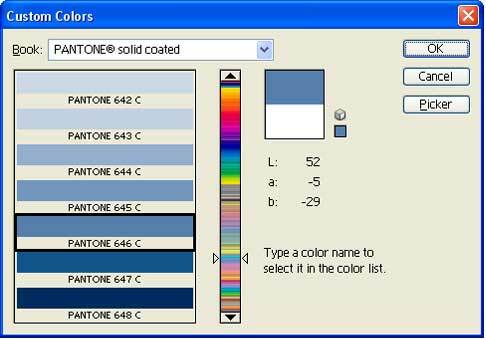 Select Pantone 646 or something close in color. 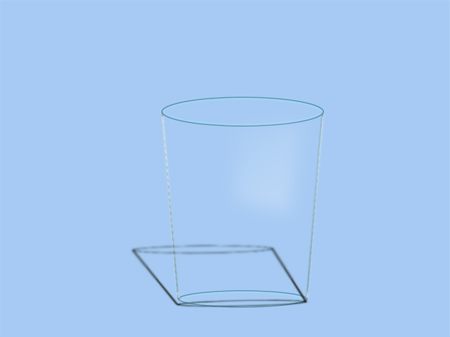 Draw an ellipse on the screen from the 4" mark to the 8". Make a copy of the Top layer by dragging it down in the Layers pallet to the New layer button. Select the Move tool. (V on the keyboard). 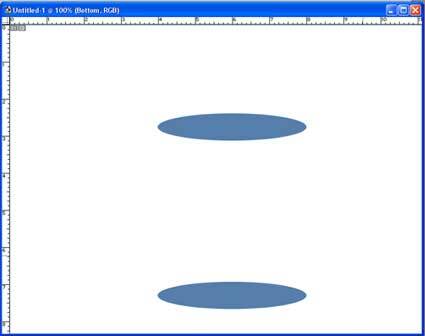 Hold Shift and left mouse click on the image and drag the new ellipse down. 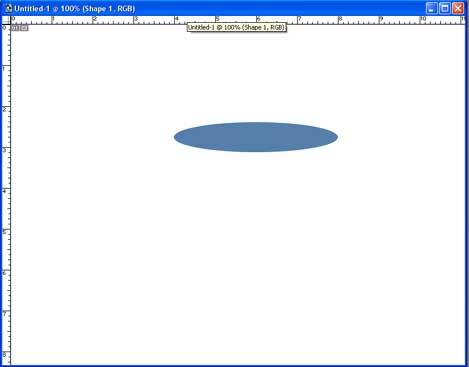 Select the layer Bottom by Ctrl-Left mouse click in the layer pallet. At the top of the screen just below the Menu bar. Click the chain link between the W: and H: percentage boxes. To maintain the aspect ratio. Enter 80 percent. See image. Hit enter.